Disclaimer: The following observations are things I noticed during my time living in Holland. They are in no way about certain people and the opinions stated are just that, my opinion. I don’t mean to portray anything as a ‘good’ or ‘bad’, simply ‘different’ than what I was use to. As time goes by, I plan on sharing some of the things I learnt/noticed/experienced during my time living and traveling in Europe. This will (hopefully) be the first of many such posts and I apologise in advance if I repeat some things, when moving around the different subjects. Whether it’s a big coffee or big truck, chances are you’ll have to search to find either, and all things between, because they are all about saving space. As a lady, I gravitated to noticing the differences in the kitchen. To start with, their fridges are generally the size of (or a little bit bigger than) a Canadians mini fridge (and they may or may not have a small freezer beside). I do like how most of their fridges are built-in to the scheme of the kitchen. Meaning the fridge door has the same cover as all the cupboards, thus matching everything and not standing out. But the small-ish size is okay for them, because groceries also come in much smaller packs/quantities and they shop in the style of going to the store before cooking, to buy what they need, then. Whereas we in Canada/my family, tend to take one big grocery trip to stock the house and then we have everything on hand to cook with, whenever, since town is usually a 25 minute or more, drive away. The first time we went shopping and I asked Mike where the real bags of sugar were, he looked at me funny and picked up the ones we were standing in front of. Flour came in the same size bags. Lots of the houses have one, smallish, round kitchen sink. Something I had in the first place we lived together, and I did not like it. 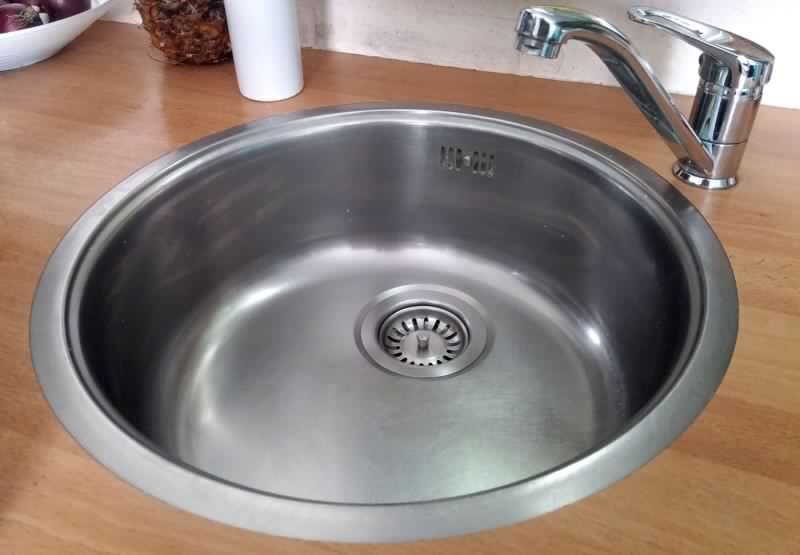 Round somehow seems like an awkward shape and personally, I prefer having a double sink for the clean and dirty to be easily separated, rather than having one sink and then piling the dishes upon the counter. I don’t know the reason behind them having a kitchen sink in that shape but it’s very common. An average coffee pot is found much less often. In its place, a tad more, specialised machine and in using it, cappuccinos are likely the coffee of choice. Very interesting to read about the differences you observed. I would find the round sink to be a little annoying, that’s a bathroom size not a kitchen one!! Haha, I’m glad you took them with humour as they were meant to be taken 😉 Well then you are blessed! Haha, I did see some square sinks but many more round… and you won’t find even ONE round sink like them here in Sask.